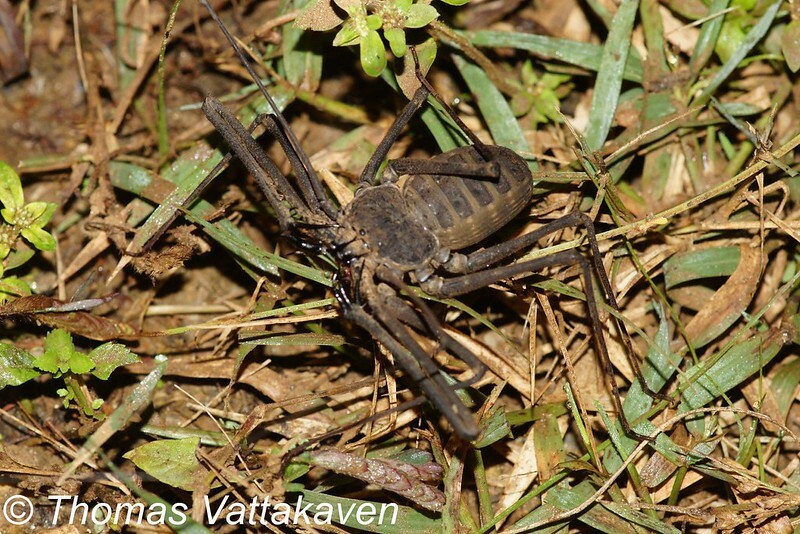 Featured in these images are creatures known as Amblypygids. 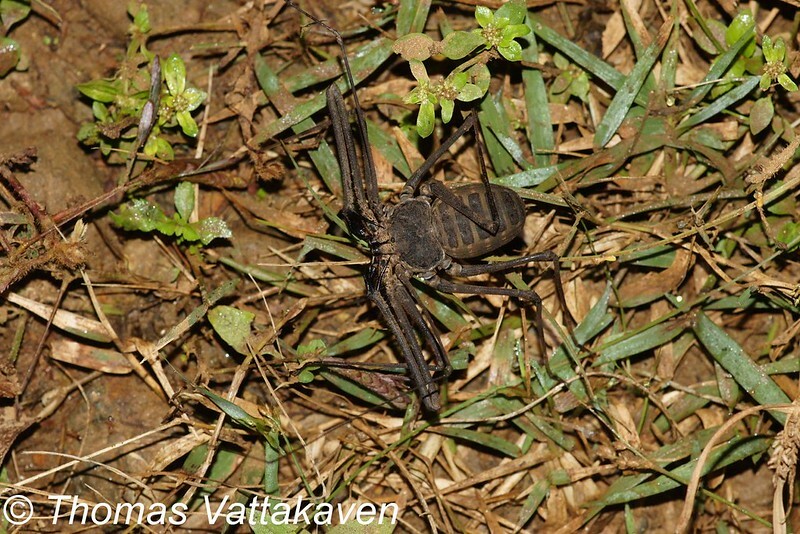 A creature belonging to the same class as spiders and scorpions – Arachnida. 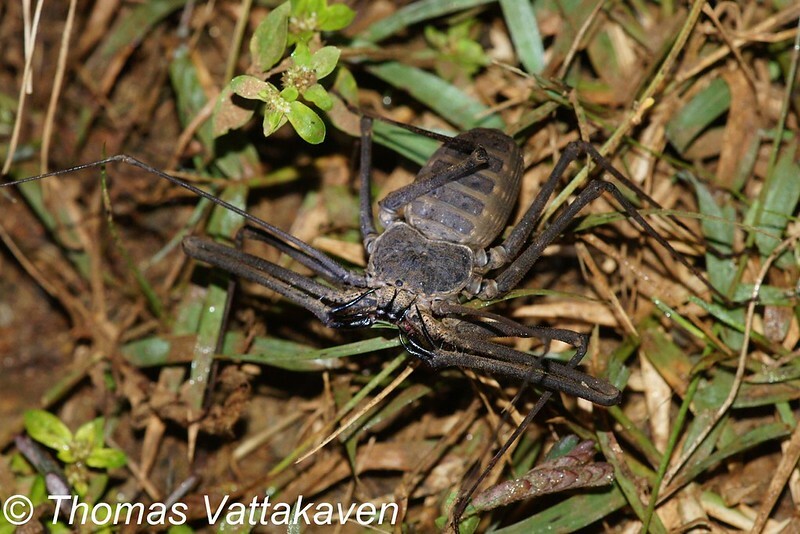 Amblypygids are also called as Whip Spiders or Tailless Whip Scorpions. 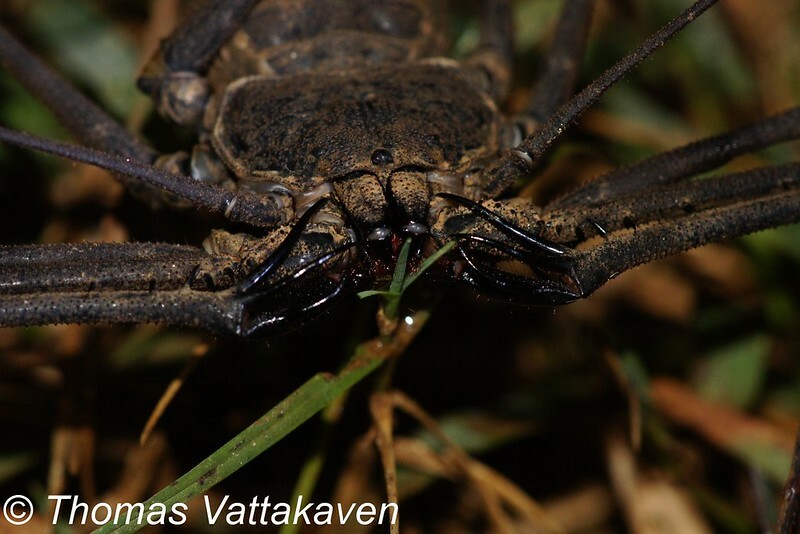 They however, lack the tail that is present in scorpions and whip-scorpions. 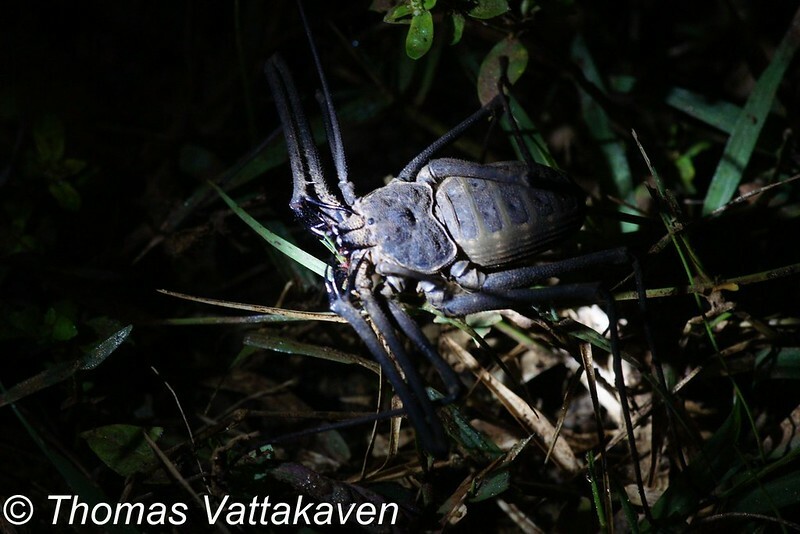 The Amblypygi have a set of long spiny pedipalps extending out in front of them. These are used for predation to seize prey such as crickets, spiders, moths etc. Although they look scary, they are harmless to humans. They are mostly nocturnal and hide under, barks or logs or leaves at daytime. They walk sideways with their long front legs extended and when they catch prey with these, they are torn up with their chelicerae (jaws). Their long pedipalps are also sensory in nature. After mating, eggs are carried by the mother Amblypygid and when the young ones hatch, they climb onto the mother’s back and are carried by her until the next moult.